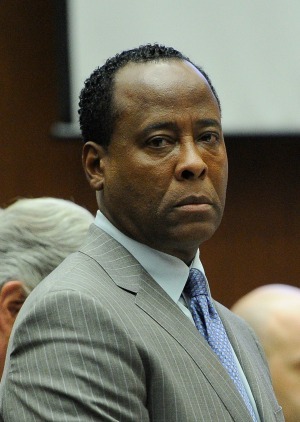 Conrad Murray was desperate to appeal his conviction and had a number of excuses as to why he was not guilty. But a California appeals court thinks differently. If you are standing in Conrad Murray‘s corner, then you will be sad to hear that the former doctor has lost his court appeal for Michael Jackson’s manslaughter. Murray was desperate to get his 2011 conviction overturned and clear his name in a bid to win back his lost medical license, but unfortunately for the disgraced physician that will not happen. The former doctor was convicted of administering a lethal dose of the anesthetic Propofol that resulted in the death of Michael Jackson in 2009. However, Murray had claimed it was the King of Pop himself who had self-administered the anesthetic and this theory, among others, served as the grounds for his appeal. However, according to TMZ, the California Courts of Appeal upheld Murray’s conviction for involuntary manslaughter as they believed his theories that Jackson administered the drug were just theories. Murray’s fingerprints were found all over the infamous drug bottle and this served as sufficient evidence to support his conviction. Conrad Murray won’t be practicing medicine again in this lifetime at least.